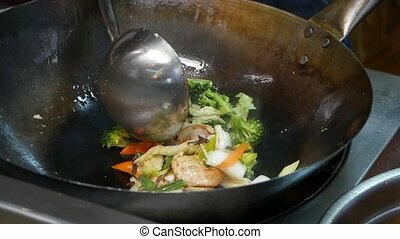 Fry vegetable meal being prepared in a hotel or restaurant kitchen. 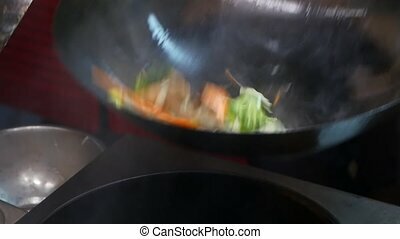 Frying vegetable meal being prepared in a hotel or restaurant kitchen. 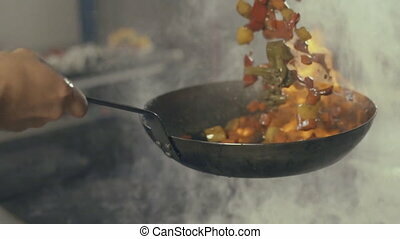 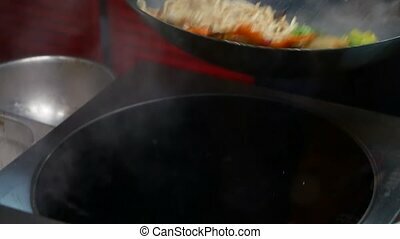 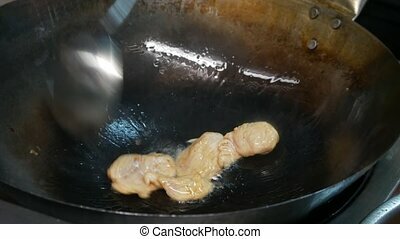 A stir fry meal being prepared in a hotel or restaurant kitchen flambe style. 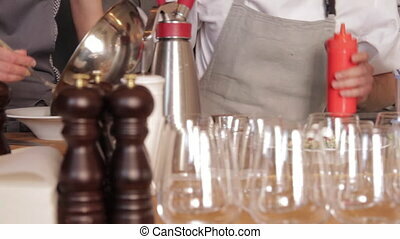 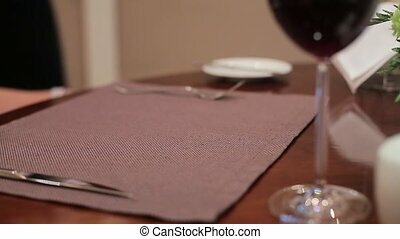 Serving a meal in a restaurant close up. 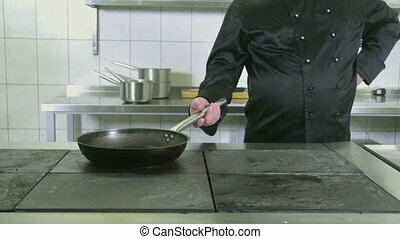 Chef in a restaurant kitchen making flambe with vegetables in a pan. 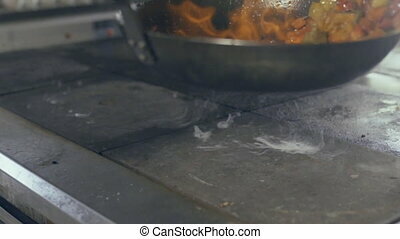 Chef in a restaurant kitchen making flambe with vegetables in a pan, close-up. 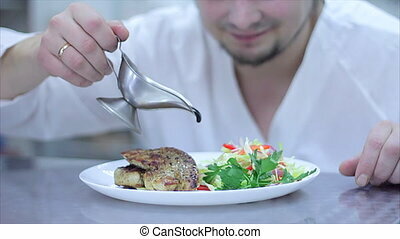 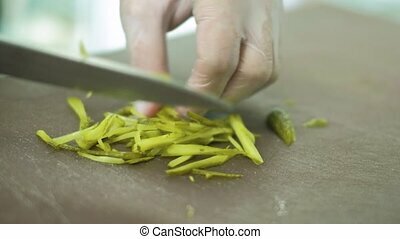 Chef in hotel or restaurant kitchen cooking, only hands.